Please read on for our latest input on coding support. Register to watch any of our pre-recorded PDPM webinars here. 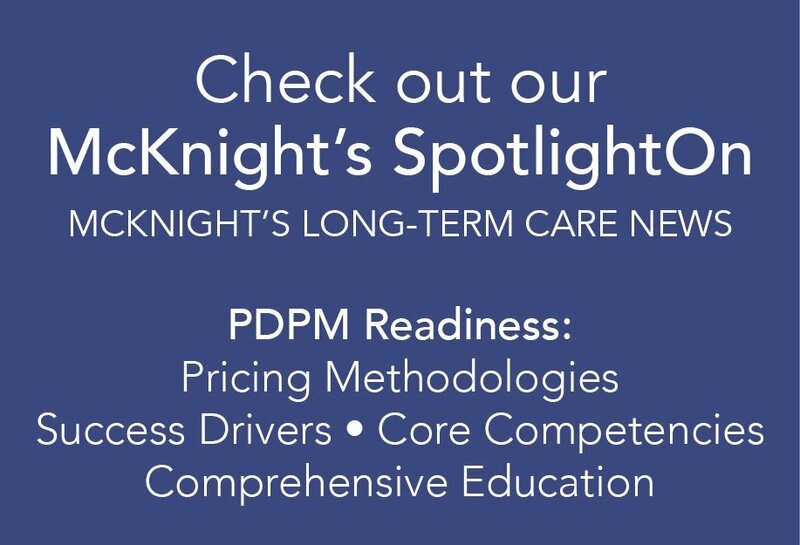 As we look to the future of skilled therapy under PDPM, it is important to remain focused on documentation that not only supports the provision of skilled therapy but the provision of skilled nursing services and accurate coding on the MDS. Case in point: during a recent review of documentation, a reviewer denied speech therapy services because of clear discrepancies between the speech pathologist’s documentation and nursing documentation. The reviewer argued that while the Speech Therapy Evaluation reported swallowing problems as evidenced by results from the MASA (Mann Assessment of Swallowing Ability), the 30-day MDS had not identified a swallowing disorder and according to the physician’s History and Physical, “the beneficiary had no problems with swallowing.” The reviewer’s conclusion? That skilled speech therapy was not medically necessary. Historically, therapists supported therapy services and nursing supported nursing services, with little emphasis on the latter given the current reimbursement structure. In the past, focus of claim reviews were based on how therapy documentation supported skilled need and less at how therapy documentation worked with the MDS. This is already changing with new denials that point out clear documentation gaps and inconsistencies. As we move closer towards PDPM, we’re beginning to see reviewers look at how both sets of documentation support one another; and rightly so. So was the reviewer right? It’s possible that during the physician’s initial evaluation, the patient didn’t report any swallowing difficulties when asked, resulting in the physician documenting “no problems with swallowing” when in fact the patient was having problems. It’s possible that the person filling out Section K of the MDS relied on written documentation only and didn’t include observation of the patient eating or taking medications. How do we avoid these potential discrepancies moving forward? Consider who is coding Section K. Is that person using only information found in the medical record, or are they also laying eyes on the patient as he/she is swallowing? Has that person received training in regards to what to look for, or is it possible to have your speech pathologist involved in coding Section K? Review your current dietary and nursing admission assessments. Do they contain enough information to support not only that a mechanically altered diet has been ordered, but for what? Does that documentation support the effectiveness of that diet as well as the clinical rationale? What is the current screening or therapy referral process? It’s likely that the speech pathologist can’t screen everyone who walks through your doors, but the screening team can be expanded with proper training. Can the occupational therapist assist in identifying swallowing disorders and the need for speech therapy intervention? Can CNAs be trained to look for pocketing, coughing or drooling and report accordingly? Pay close attention to coding. Identifying speech related comorbidities will be an important step in the MDS and evaluation process. Have there been changes in status or diet after the 5-day MDS is complete? If so, how are those changes being communicated? Are all key staff documenting these changes? Ensure communication between clinical departments is effective and frequent. Establish a clear system for reporting anything that may impact the patient’s plan of care and MDS. If a patient is admitted with a mechanically altered diet, look for documentation that supports this diet. Is there a history of dysphagia? Does family report the patient’s diet was altered in the hospital? Is a speech therapy screen or evaluation appropriate? Ask the right questions. When holding clinical meetings ensure the team is looking for documentation to support any mechanically altered diet, s/s of dysphagia that haven’t been addressed and where intervention hasn’t been successful in treating any identified swallowing problems. Make good use of your SLP. Speech-language Pathologists are uniquely qualified to identify, assess and treat conditions that result in dysphagia and the need for mechanically altered diets. Thus, review of speech therapy’s documentation is a great place to start if the assessment has already been completed and will assist in supporting coding of mechanically altered diets and swallowing disorders on the MDS. CMS has been clear in all its communication with providers: If speech therapy is warranted today under RUG-IV then speech therapy will be needed under PDPM. It is up to the provider to support that need and any sections on the MDS that impact payment through documentation that shows a clear clinical rationale for therapeutic intervention.